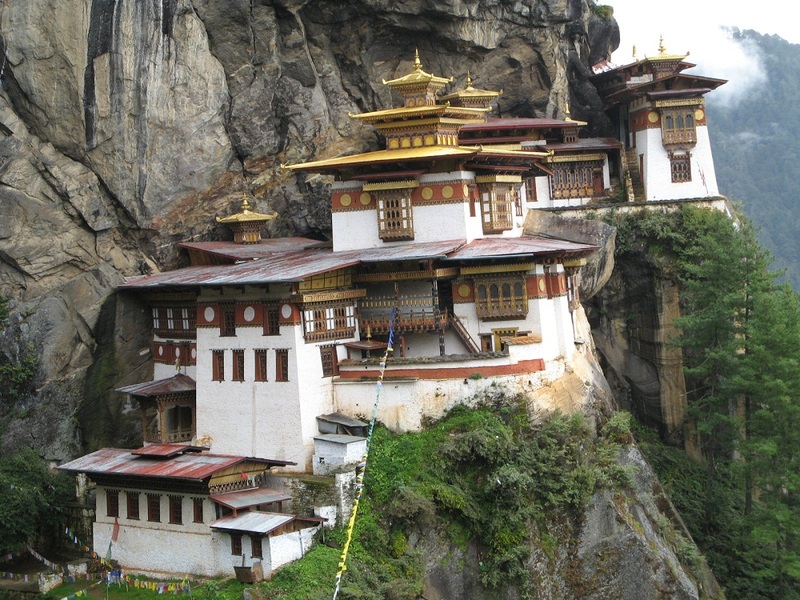 Taktsang Monastery which means Tiger’s Nest, clinging to a stiff cliff above 900 m from the valley. It is believed to be built by the Lord Padmasambhava himself. Lunch at Taksang Jaklang. Fly to Paro with breathtaking views of Mt. Everest, Kanchanjunga, Mt. Chomolari, Mt. Jichu Drake, etc. Upon arrival, warm welcome by our representative. Transfer to hotel. Orientation talk and film show about Bhutan. Rest of the day at leisure or visit the local market. O/N hotel. Day 02: PARO – SIGHTSEEING. Day 03: EXCURSION TO TAKING. 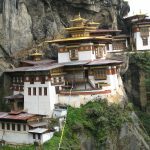 Morning excursion to Taktsang Monastery which means Tiger’s Nest, clinging to a stiff cliff above 900 m from the valley. It is believed to be built by the Lord Padmasambhava himself. Lunch at Taksang Jaklang. O/N hotel. Day 04: PARO – THIMPHU. 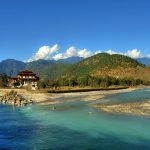 Day 05: THIMPHU – PUNAKHA – WANGDI. Day 06: WANGDI – TONGSA. 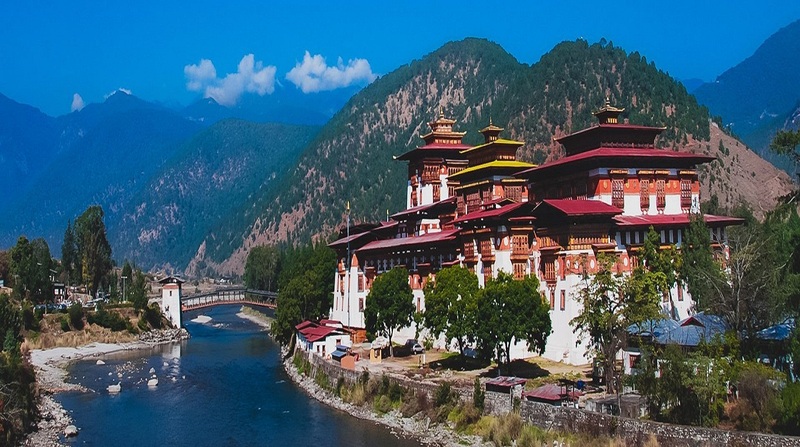 Day 07: TONGSA – JAKAR Visit the most impressive Dzong in Bhutan, the Tongsa Dzong with its major temples. Drive via Chumi valley to have a close look at the daily life of the native people. Arrive at Jakar. O/N hotel. 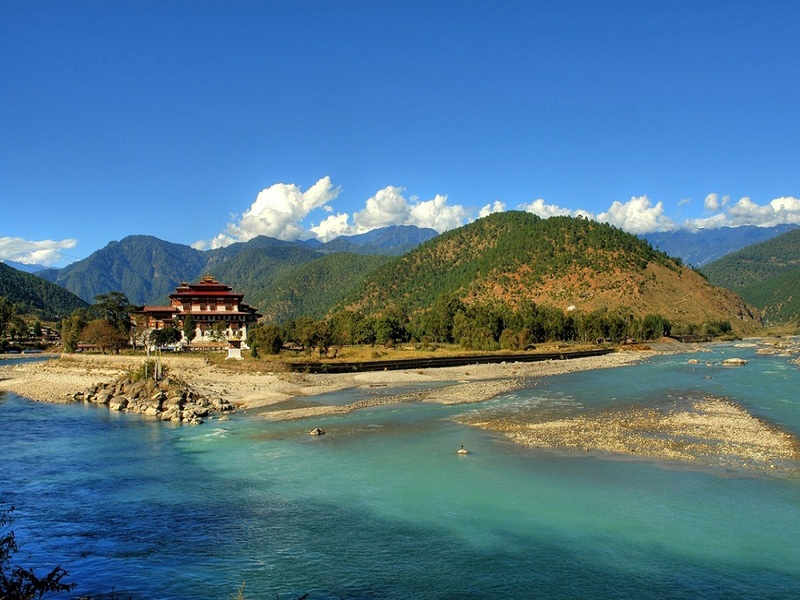 A full day to explore the Bumathang Chokhor valley, its Dzongs, temples, and monuments. O/N hotel. Day 09: JAKAR – TONGSA. Day 10: TONGSA – THIMPHU. Day 11: THIMPHU – PARO. A full day to enjoy the beautiful atmosphere of Thimphu. Witness the mask dance and cultural performance of the royal dance troupe. Visit the Memorial Chorten, local market and handicraft center. Late afternoon, drive to Paro. O/N hotel. Day 12: PARO – DEPARTURE.